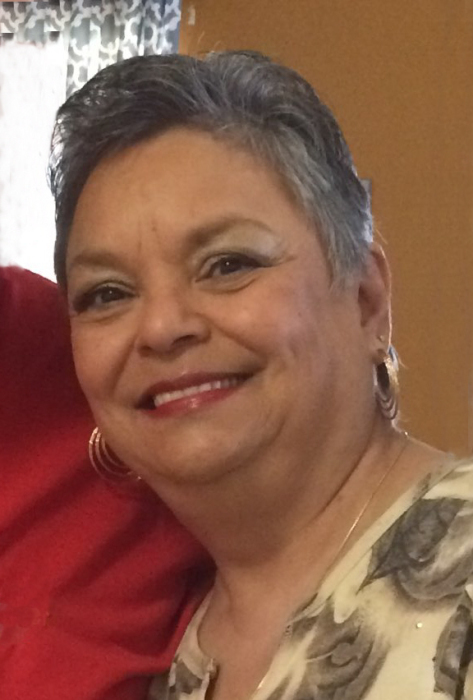 Irma Velez Acebedo passed away peacefully at her home on Sunday, January 20, 2019. She was 61 years old, born to Rogelio & Ruperta Velez in Lubbock on August 19, 1957. She married her loving husband of 44 years, Fernando Acebedo on November 9, 1974 and graduated from Lubbock-Cooper High School in 1975. Apart from being a home maker, Irma was a devout Catholic & member of Our Lady of Guadalupe Catholic Church. She was also the Eucharistic Ministry Coordinator and a cursillista. A caring and loving spirit, Irma had a fun sense of humor and could carry a conversation with all who met her. She was a true Dallas Cowboys fan & loved her novelas. She also enjoyed baseball and watching her grandsons play. A celebration mass for Mrs. Acebedo will be held 2:00 pm, Thursday, January 24, 2019 at Our Lady of Guadalupe Catholic Church with Father Martin Pina officiating. Burial will follow in Peaceful Gardens Memorial Park under the direction of Broadway Funeral Directors. A rosary will be recited 7:00 pm Wednesday, January 23, 2019 at Our Lady of Guadalupe Catholic Church with a visitation all day at Broadway Funeral Directors.